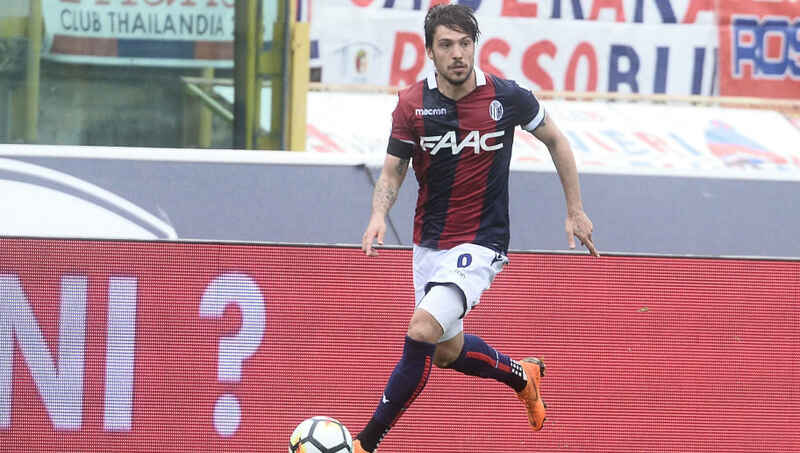 Serie A runners-up ​Napoli have confirmed the signing of Bologna winger Simone Verdi on a five-year deal. The Italian international completed a medical with the club earlier in the day, before putting pen to paper on a deal that will tie him to the club until 2023. The 25-year-old scored 10 times from the Bologna wing last season, also contributing a further 10 assists as he helped steer I Rossoblu clear of relegation danger. His stellar performances have attracted interest for a number of months, with Gianluca DiMarzio previously reporting that last season's ​Serie A runners-up Napoli were in prime position to seal a deal worth up to €25m. Recently appointed boss Carlo Ancelotti is understood to be a big fan of Verdi, with the former ​Chelsea and Milan manager having recently replaced Maurizio Sarri in the Gli Azzurri hot seat. Verdi's move could will eventually cost the Naples based side up to €25m, though the payments for the deal will be staggered across separate instalments. An initial €20m fee will be paid up front, with up to €5m in bonuses being applied when certain criteria are met. Former club ​Milan, where Verdi learnt his trade, will also receive €5m for the move, having inserted a 20% profit clause into the deal when letting him leave the San Siro in 2016.